All this happened this weekend, PartyPoker stock value is down 60% (Neteller also dramaticly down). To bad as I just witnessed the biggest online tournament in history, the WCOOP main event on pokerstars. 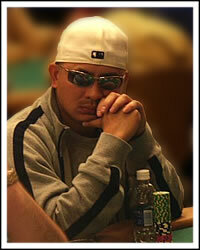 2510 player ponied up $2700 and pokerpro J.C. Tran won more than $670.000! This will prove to have been a historic tournament because as it looks now next will not see any significant US players there anymore (also things can change and maybe Mr. Bush refuses to sign that bill). We’ll see how things develop over the next few weeks.